Celebrate Mother's's day with this fun one page newspaper. 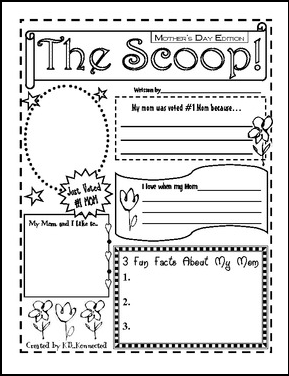 Students can personalize it for their mom. Makes a great keepsake for parents. Versions for grandmother, aunt and sister are included as some children have them as mother figures and want to celebrate them also.